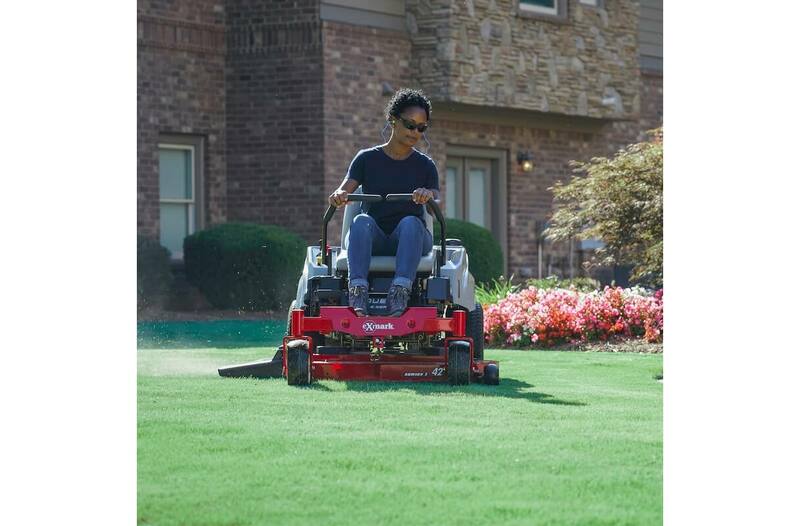 Discover what landscape pros already know. 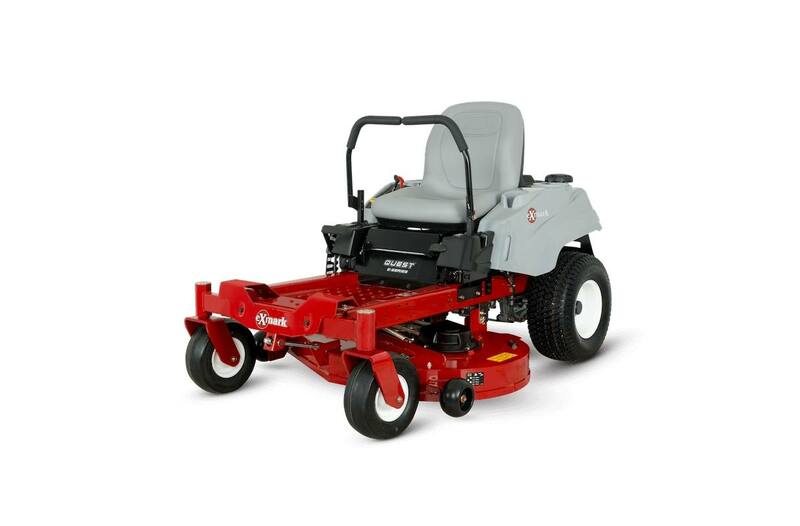 For starters, they know if you want a professional cut, you'll need a professional-grade mower—like an Exmark® Quest, the original premium residential zero turn. 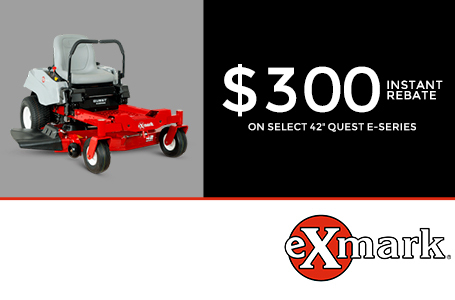 The Quest E-Series offers Exmark® powered engines, backed by a three-year consumer warranty. 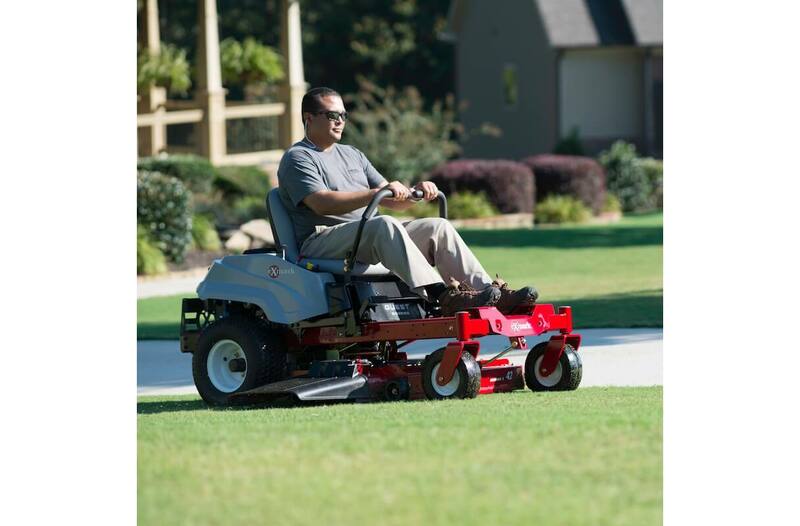 It delivers pro-like productivity with zero-turn precision, mowing up to 2.8 acres per hour at speeds up to 7 mph. And, as you'd expect from a machine of this caliber, comfort is strictly first class—from the premium, ergonomically designed seat, to the cushioned control levers. 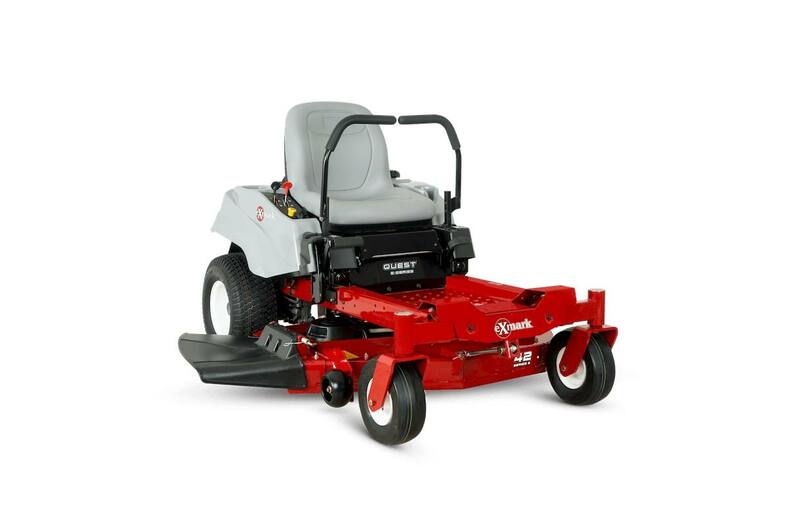 Available with a 34- or 42-inch cutting deck. Seat: Extra High Back foam padded. Hinged mounting, spring suspension. Adjustment: Fore and aft 3 in. by loosening 2 bolts and sliding seat. Drive Description: Two Hydro-Gear ZT2100 hydro static transmissions with no hoses, integrated cooling fans, integrated reservoir. Deck Lift: Standard: lever lift. Cutting Heights: 1.5" (3.8 cm) to 4.5" (11.4 cm) in 0.5" (1.3 cm) increments, adjustable from operator seat with standard lever lift.